Gleneagles is delighted to welcome Yogi Breisner to the Equestrian School on Thursday, February 24th. Yogi will teach a fantastic clinic, working with riders from the beginning to advanced level. The clinic will involve four sessions throughout the day, each lasting approximately one hour 15 minutes. Yogi is one of the most successful and respected trainers of both riders and horses up to international level. 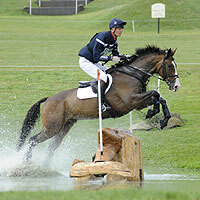 In 2000, he was appointed National Coach by British Eventing and has been instrumental in the development of coaching initiatives throughout the sport. In addition to the Senior Team, he also oversees the pony, junior and young riders teams and in 2010, the Senior Team came home, from the World Equestrian Games in Kentucky, with the gold medal. This clinic runs from 10:00am to 6:00pm. Please inquire with us about joining this clinic on a horseback riding vacation at Gleneagles. Enjoy a fantastic clinic with Corinne Bracken at the Gleneagles Equestrian School this March. 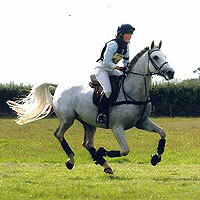 This clinic is ideal for both show jump riders and eventers, as Corinne has vast experience in both fields. Attendees of the clinic will work in groups of four with heights starting from 85cm - 1.25m. 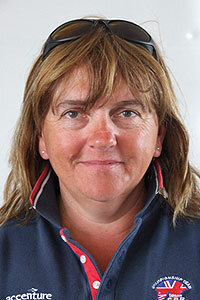 Corinne has been the International Team Coach since 2006 for the Children, Junior and Young Riders Show Jumping squads and in 2010 she was selected by the British Olympic Association to attend the Inaugural Youth Olympic Games in Singapore as the European Equestrian Team Manager, securing the Team Gold medal. The clinic will take place from 11:00am - 8:30pm. Please contact us to join this clinic on an equestrian vacation at Gleneagles that riders and non-riders can enjoy.